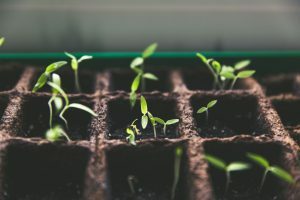 The indoor gardening industry evolves with the technology that supports it, especially concerning cannabis grow room design. The advancements in both cultivation technology and methodology are doubtlessly exciting. Yet, the sheer number of hydroponics products on the market today proves quite intimidating. 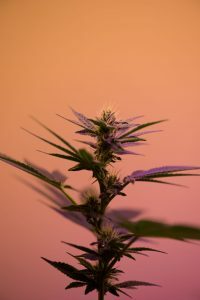 Perhaps no segment of the hydroponics and aquaponics product field has seen the sort of innovations as experienced with cannabis grow room lighting. 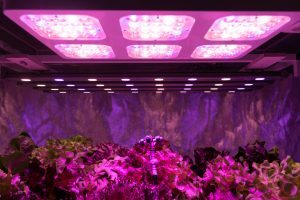 To illustrate, the inclusion of LED lights within indoor gardening has begun to alter the way in which cultivation operations are designed and operated. In a similar vein, and some years ago, the invention of DE HPS lighting had a similar paradigm-shifting effect. For reasons such as these, the rapid influx of changing lighting technologies on the market can prove both confusing and intimidating. This notion applies to all levels of growers, from novice to expert. Perhaps the most efficient way to plan grow room lighting is to begin by considering pricing as related to initial cost versus energy demands. You should weigh your initial overhead against the light’s intended usage. This decision process should consider both regularity and scale. These factors combined will give one a concrete starting point in choosing the correct grow room lighting system. A quick financial overview of the three primary horticultural lighting systems on the market today provides a great road map in planning grow room lighting. These systems are as such: single-ended HPS lights, DE HPS lights, and LED lights. To begin with, the traditional single-ended, air-cooled 1,000 watt grow light retails for approximately $200. Secondly, 1,000 watt DE HPS lights can be found on the shelves of hydro stores starting at around $400. Finally, ultra-modern LED lighting rigs cost about $800 for a 550 watt set-up (due to spectral efficiency a 550 watt LED light emits a similar output of usable light than that of a 1,000 watt HPS light). As can be seen, the use of LED lighting presents a far greater initial cost in hydroponics products than seen with the first two more traditional set-ups. The regularity and scale of usage of a cultivator’s cannabis grow room lighting directly results in the system’s energy demands. This usage finally translates into a power bill. With this notion in mind, growers can make sound consumer decisions regarding the purchasing of cannabis grow room lighting based on exactly how much a grower will be using said system. Lets first look at an individual who is only planning on producing one or two crops a year in a 1,000 watt cannabis grow operation. For them, it probably makes the most economic sense to opt with an HPS system (single or double-ended). Because, the initial cost of an LED set-up will take an exorbitant amount of time to be recuperated via energy savings on such a small scale. Secondly, lets look at a commercial sized operation that intends on producing five or six harvest a year. For this operation, LED’s are more than likely a more practical purchase than other lights. Because, the regularity and scale of energy usage at this level will quickly recoup the financial overhead that comes with purchasing LED’s. Other important factors to consider when designing the lighting system of a cannabis cultivation room are the spatial and infrastructural constraints of the building in question. For most indoor gardens, the rooms in which they will be built already provide a logical road map to follow in equipment planning. As such, two crucial infrastructural elements relating to lighting design are ceiling height and air-exchange access. The height of a cannabis grow room’s ceilings will directly influence the sort of options a cultivator has in the installation of a lighting system. For example, “Gavita style” DE HPS lights put off an immense amount of heat. However, these lights don’t yet have options for air cooling. As such, DE HPS lights should be kept, at a minimum, 3-5 ft above the top of a garden canopy. This practice will ensure they don’t burn plant foliage. With these spatial constraints in mind, DE HPS set-ups require 12 ft ceilings for taller plant species. The same can be said about gardens that grow large plants. Therefore, indoor grows that feature ceilings under 12 ft tall need specific lighting. These operations will need to utilize single-ended, air-cooled HPS systems or LED lights. One of the more easily overlooked considerations to be made when designing grow room lighting is air quality. As such, this important element necessitates a planning process in itself. Let’s first look at a cannabis grower who is utilizing an air-cooled lighting set-up in their operation. This grower must account for the functionality of ducting, exhaust fans, intake ports, outtake ports, and additional hydroponics products. Not all infrastructures can accommodate these requirements. This notion is especially true if one is building “a room inside of a room.” Moreover, if an indoor gardener opts for a DE HPS set-up, they will likely require the use of an A/C system. As such, they must consider the placement of variables like copper tubing, industrial airflow, exhaust ports, and condensation hoses. The design and build of a successful cannabis grow room is a careful balancing act of planning with infrastructure and horticulture products. Lighting systems are a crucial element to consider in the creation of a grow room. However, they are not always the most logical place to start with the indoor gardening planning process. With this notion in mind, one should plan their grow room lighting around the infrastructural options they already have available. Often times, this means that growers should follow logic in planning their grow room lighting. This logical approach is often opposed to the latest advancements and trends in cannabis grow room lighting and hydroponics products. This article originally appeared in the July 2018 edition of Maximum Yield Magazine.